Oh, hello there. 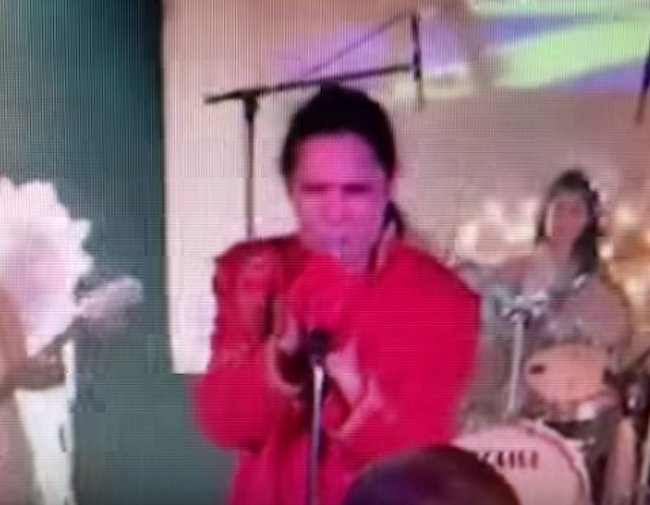 Just a quick message to let you know that actor/musician Corey Feldman stopped mid-concert during a performance in his “Angelic 2 the U.S.” tour in to order find the tooth he unwittingly knocked out of his mouth. Eyewitnesses say Feldman did indeed put time and effort into locating the rogue tooth. Fortuitously, a fan in the front row succeeded in tracking down the little fellow and generously didn’t keep it for the hope chest, instead returning it to the entertainer. A consummate professional, Feldman demonstrated the show must indeed go on by soldiering on with the show. This is, of course, just the latest in a string of mind-melty stage antics Feldman has perpetuated upon an unsuspected and largely unwilling public, which also includes an absolutely iconic Today Show performance that must be seen to be believed. Anyone’s who’s got capped teeth or crowns knows it’s a possibility. Was that before or after Friday the 13th part 4? Lord, what next? Resurrect ol’ Rico Suave for a duet? Kids, this is a perfect example that highlights how important it is to save money for a rainy day. Gotta give him credit for trying. I think the Goonies was his last success though. Iggy Pop would have bled all over himself and come in for a close-up. This is why Labradors are named Iggy…Pup. I know it’s bad karma to be Schadenfreude, it’s just I can’t stop laughing. Is it any wonder Trump got elected? But seriously this is an allegory to how America lost it’s toof last November. I love this kind of experimental performance art.